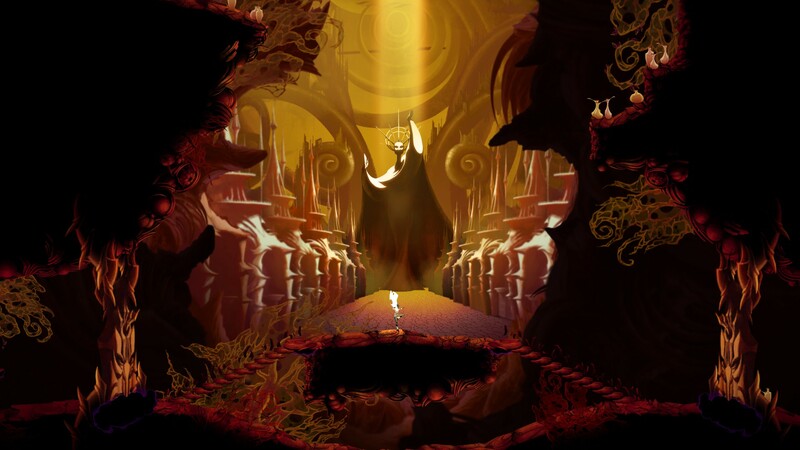 From Canadian indie developer, Thunder Lotus Games, makers of the beautifully hand-drawn, Norse mythology themed, action-exploration hit, Jotun, comes their next sophomore creation, Sundered. 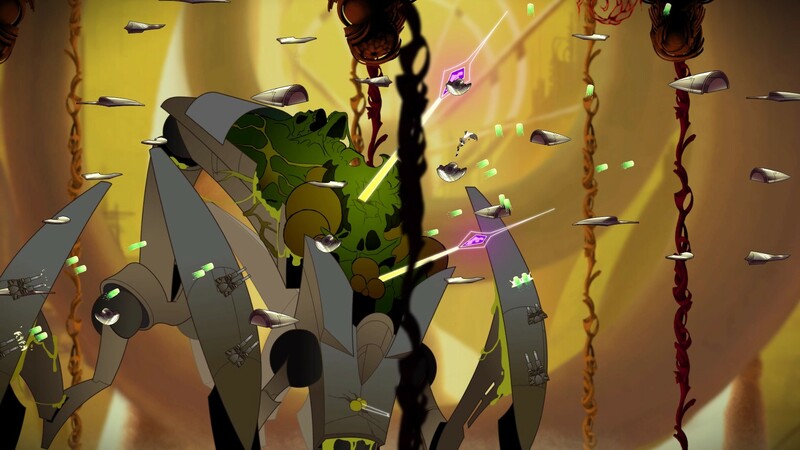 In Sundered, you play as Eshe, who’s wandering around the ruined Eschaton City, as a fight for their very survival and sanity begins, in an ever-changing procedural system of caverns, swarming with horrifying Eldritch monsters. The dark atmospheric wastes in this gorgeous hand-drawn, action-horror game, depict a corrupted world, tattered by massive battles from gigantic Eldritch horrors. With dynamic creature spawning, combined with the random sampled subsections, which makes for an unpredictable experience each time you play. Throughout the games exploration and combat, you upgrade your skills by the use of Shards, upon death, you can upgrade and unlock various perks and other ‘Metroidvania’ like abilities to help along the way. 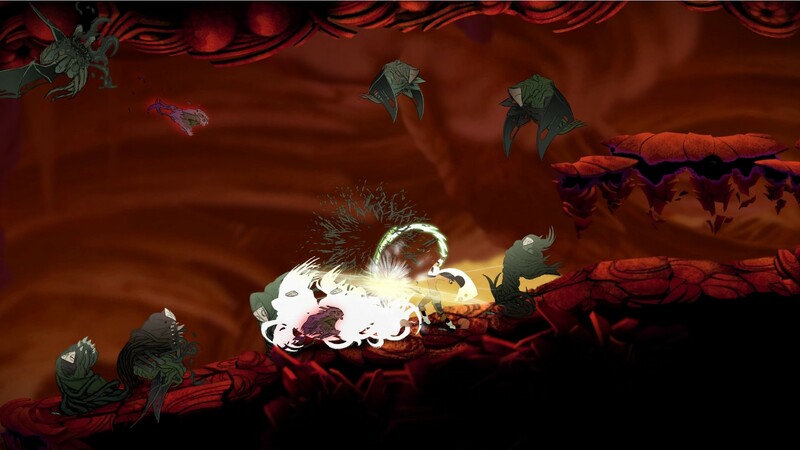 It’s also possible to further corrupt these abilities, as the core of Sundered, and at the cost of your humanity. With each skill gaining in immense power, weighing heavily on your very being, having adverse ramifications on the games many complex mechanics, the overall story and affecting the games many endings. The latest trailer featured above, titled Embrace, gives us a glimpse at the chaotic world in Sundered, showing off some of the hectic combat that will challenge players, as well as some of the various skills our hero must master in order to survive. The previous trailer, found below, showcases a battle against one of the games many colossal boss fights, and illustrates just how quick the player can be overwhelmed by the many hordes of beasts they will encounter along the way. At present time, Thunder Lotus Games are aiming at a release date sometime in 2017. When exactly, nobody knows… but I’m hoping it’s much sooner than later. The game looks fantastic; it’s not going to be easy sitting back and waiting for this to appear on Steam, in the meantime, Jotun: Valhalla Edition should help past the time… a little. 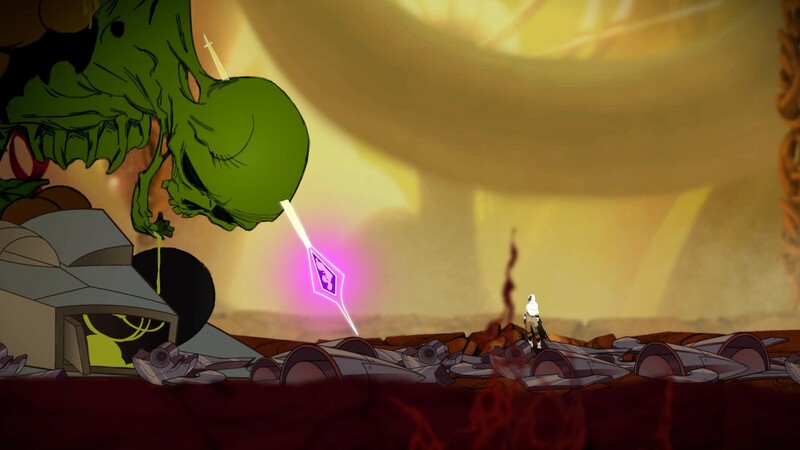 Montreal, Canada – December 15, 2016 – Thunder Lotus Games has revealed the second trailer for Sundered, the highly anticipated sophomore release from the creators of Jotun. The new trailer – titled Embrace – introduces Sundered’s Eschaton City region and shows off the corruption aspect that will be central to the game’s plot. The darkly atmospheric hand-drawn action-horror game will be released on PlayStation®4, Windows, Mac, and Linux in 2017. Sundered’s procedural design: Though the overall structure of the world is set in stone, subsections take a random sampling of preset rooms and assemble them to create a different flow every time, similar to Diablo 2. 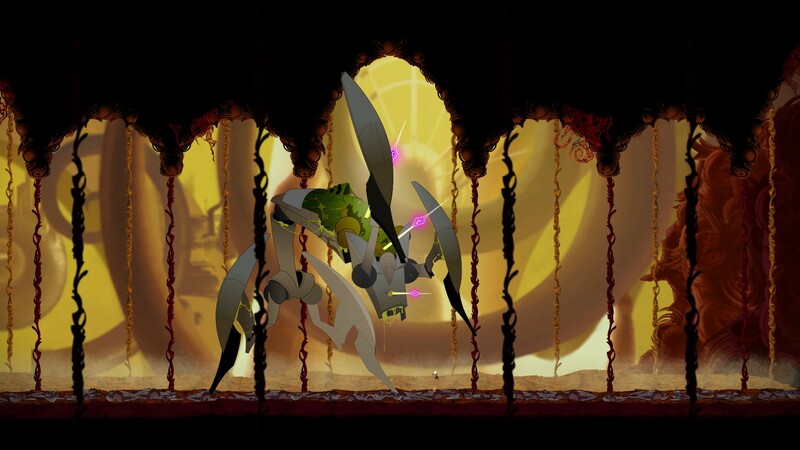 Sundered’s random encounters: The monster spawns are dynamic as well, creating an unpredictable experience we feel is very effective in games like Left 4 Dead. 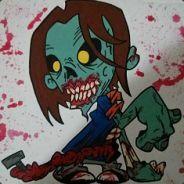 Sundered’s skill tree and upgrades: Throughout exploration and combat, you collect Shards, and when you die, you respawn in the Hub. Here lies the Skill Tree, filled with Upgrades, Perks and the Metroidvania-style Abilities. 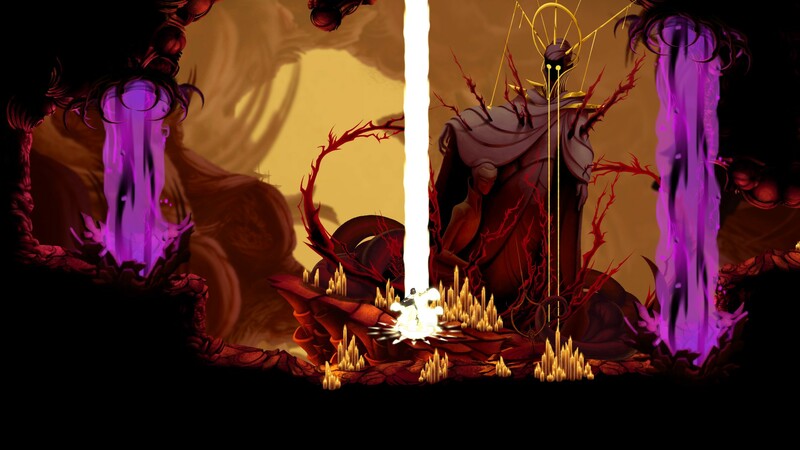 Sundered’s corruptible abilities: The possibility of corrupting these Abilities to gain great power at the cost of your humanity is the core conflict of the game, having repercussions on the game mechanics, story, and ending.